Hey guys. My name is [Mos Defez 00:00:09]. In this video, we’ll be covering: how to know you are ready to monetize your content. By monetize, I’m talking, making some income, some money off of the content that you produce, whether it be just recording vlogs or something that. YouTube or of course your gameplay that you play live or, again, save for YouTube. When it comes down to YouTube monetization, in my opinion, everything you post on there should absolutely be monetized. Try not to post things that can’t be monetized. There’s nothing wrong with posting a gameplay that has some background music or some montaging and stuff like that to produce high-quality stuff that’s going to get you subscribers and in the long run, up your quality of your channel by bringing in more numbers, but again, if a video goes viral and you don’t have it monetized or you can’t monetize it because you have some kind of copyright music, that’s truly going to hold you back, at least from making some extra bucks. With that being said, you never, ever, ever know when a video is just going to go ahead and hit viral, when a bunch of views are just going to start coming out of nowhere, people are going to hit the floodgates, and your stuff is just going to catch traction. The same thing happened for me on Twitch TV when I started streaming mobile games. I didn’t expect for people to come through and just click my channel and look for the game Clash of Clans at the time. I was doing something I really enjoyed, but early on, I suddenly just got wind of all of this exposure. Looking back now, in today’s age, I definitely do not post anything that is going to be copyright just so I don’t have any issues later down the road. You really don’t know what’s going to hit and what’s not going to hit. There are other ways to make an income outside of just advertisement money from YouTube and Twitch. There is taking on sponsorships. Before you get into dealing with a sponsor, you want to think about how much stress or how much burden is this going to put on you as a person. You’re no longer representing just yourself. You now have a brand behind you. Everything you say and do during those moments that you’re representing that brand is going to mean something. You want to present yourself properly. You want to be prepared. You want to feel ready, rehearse. When it comes down to monetizing and taking on sponsorships, I absolutely suggest you start with something small, nothing too overwhelming. You don’t want to dive in and not really be prepared to produce the quality or maybe raise your bar to the standard that these sponsors might be expecting from you. You’re going to have to carry yourself right and work under a timely fashion. It does become a job at this point. It’s no longer just fun and games. It’s not you working on your own clock. You’re working for that sponsor. You have a quota to … You have something to do. You have to do it right. You have to be ready to do it. When it comes down to monetization, it’s not just the numbers and not just the money. It’s about whether or not you can actually take on that stress, take on that burden, and produce the content. This is you taking a step from having nothing and just being like yourself, and everything you do is you’re your own boss to kind of having a boss, having someone that is going to give you tasks and things to do and then having to produce that content within a timely fashion or just represent that game, whether it be live or recorded. When it comes down to monetizing your channel on a live stream, that’s a little bit more difficult to do. 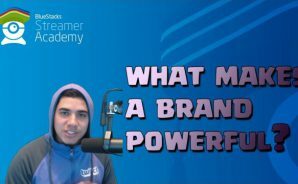 There are times when … Let’s just say if a game wants to have you represent them live on Twitch, you have to be ready, be focused, be prepared to answer any questions that are coming out that game and make it look fun and make it look good at the same time. It’s not a very easy task. For YouTube, it’s a little different. You can take a couple of runs. You can make the perfect video, right, like this right here. We can make a great video. We can monetize this video, make it really awesome. I can do this. No problem. When it comes down to doing it live, though, it’s a little bit more stress. A little bit harder. It probably takes a little more practice. I’m definitely talking from experience when I say this. It’s definitely a lot harder to do it live, but again, as long as you feel like you’re ready, you’re prepared, you got to take that step eventually. When it comes down to monetizing on live stream, representing a company live, it’s a little bit harder, but it’s not impossible. You’re going to do it. You’re going to get there. Just keep calm, rehearse, just run a couple of sentences in your mind, learn how to introduce yourself, and things are going to go just fine. There are other ways to bring an income. You can ask for what we call donations. If you’re looking to, let’s just say, upgrade your computer, if you want to get that new camera, it’s a pretty normal thing to have these goals to fundraise from your community to bring better content for your channel. I did this when I first upgraded to my computer, back in my first big year of shooting. I had a pretty average laptop. It wasn’t too great. It crashed occasionally while I was live. I was sick of it. I was ready to make the leap. I was ready to move forward and produce better content. The only way to get there was to raise a ton of money for a computer that I could not afford at the time. I put up a goal. I worked really hard. Of course, I didn’t ask my viewers for any penny, but they knew where that income that they were providing to me was going. We put it all towards that computer. Next thing you know, within a month, we had a new computer, quality went up, streams were better. It was a win-win. It’s a huge investment. To make money, you have to spend money sometimes. Don’t be afraid to invest in your own success, put money into your channel, get better equipment. It’s one step at a time. Don’t dive head forward. Just be prepared, feel ready, one step at a time, you’ll upgrade your quality of your equipment. You’ll get better deals. You’ll meet new organizations. People will want to work with you from the quality you can produce. When it comes down to monetizing, if you feel like you’ve already put enough money in and you can produce that high-quality content, I say go for it. There’s a lot of websites out there as well that organizations go to them, and they actively seek content creators. You can go ahead and research some of that. I don’t have any really great ones off the top of my mind, but there is definitely resources out there. Monetizing can come from anywhere. There’s plenty and plenty of people that are looking for those hidden gems, those new content creators that are willing to work for some money. That comes down to knowing your worth, which is an entire different topic that I won’t jump into, but again, when it comes down to monetizing, my final stance is definitely do it as early as possible. Don’t overwhelm yourself, take your time, and be prepared for what comes with it.